Concern over global warming resulting from burning fossil fuels brings renewed interest in nuclear power. Some say that recycling uranium and other elements from nuclear fuel burned in reactors is a logical companion to nuclear electricity generation. The United States stopped reprocessing of fuel — recycling — in the late 1970s. Is it time to reconsider fuel reprocessing as well as nuclear power? Recently, as I walked among the four massive structures that comprise the guts of Hanford&apos;s Waste Treatment Plant, I wondered about the validity of William Tucker&apos;s published claim that "there is no such thing as nuclear waste." After all, the Department of Energy is building the $12 billion-plus complex in southeast Washington&apos;s Columbia Basin just to deal with the leftovers from reprocessing nuclear fuel. In this case, reactors burned the fuel to produce plutonium. Advocates say nuclear power is a necessary alternative to carbon-fueled generation to meet base-load needs. Solar and wind generation, in this view, are not reliable 24/7 power providers. At present, about 20 percent of U.S. electricity comes from nuclear plants, and the federal government has received or expects license applications for 30 new reactors. The present policy of the United States is that spent fuel from these reactors will be disposed of in a deep geologic formation, reminiscent of the low-level waste from weapons programs (not spent fuel) that is stored at the Department of Energy&apos;s Waste Isolation Pilot Plant in New Mexico. Since 1987, the Nuclear Waste Policy Act has assumed that civilian nuclear waste would be at Yucca Mountain, Nev. However, both Congress and the Obama administration have suspended work developing a waste repository there. 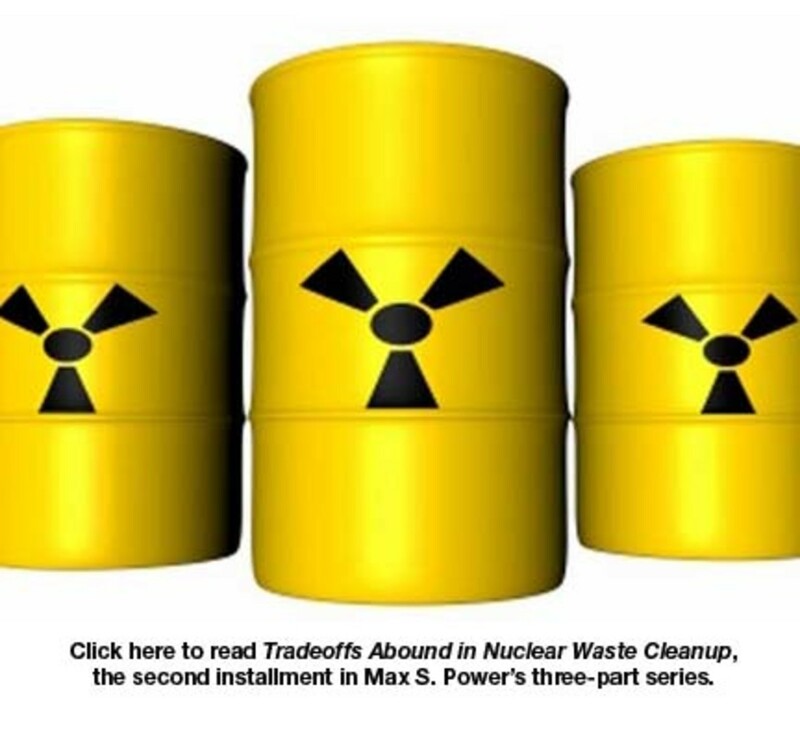 Tucker and other recycling advocates argue not only that recycling makes sense here as in other environmental fields, but also that it will greatly reduce the volume of highly radioactive waste to be disposed. 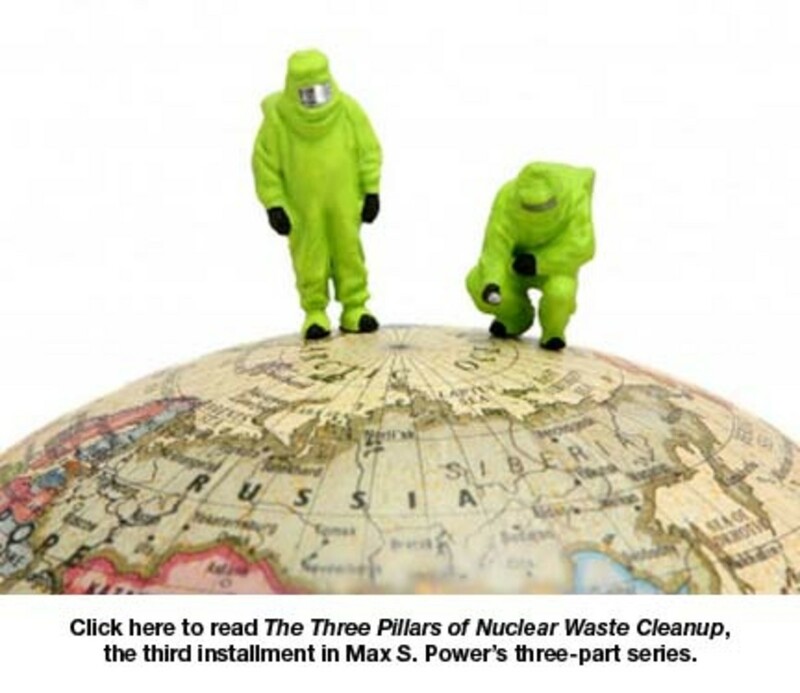 Concern about waste disposal long has been a major stumbling block to a reinvigorated nuclear power industry. Opponents retort that the weapons proliferation concerns and costs that stymied reprocessing 30 years ago remain solid reasons to reject recycling nuclear reactor fuel. The United States abandoned reprocessing of spent nuclear fuel in the late 1970s. France, Britain, Russia and Japan, on the other hand, continued to develop and use reprocessing facilities. Congress adopted the policy of direct disposal for spent nuclear fuel after public opinion had turned against nuclear power following the accident at Three Mile Island, and the abandonment both of domestic reprocessing plants and a number of nuclear power reactor projects. The commercial reprocessing facility at West Valley, N.Y, had experienced an expensive failure. Developers abandoned two others, one in Morris, Ill., and the other in Aiken, S.C. 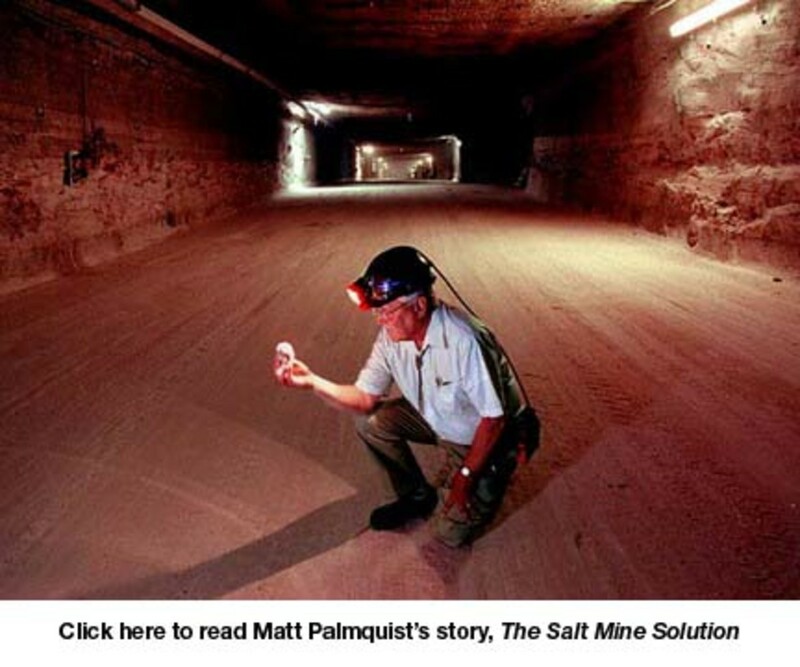 Meanwhile, the media focused public attention on the environmental problems that resulted from reprocessing for defense purposes at Hanford, the Savannah River Site in South Carolina and the Idaho National Laboratory. People committed to nuclear disarmament and who fear the spread of nuclear weapons among other nations and terrorist groups oppose reprocessing because it creates more plutonium 239 — the highly fissile isotope that fueled the Trinity test and the Nagasaki bomb. The Nuclear Control Institute, a highly regarded nuclear nonproliferation group, asserts that commercial power reactors have already produced six times as much plutonium as weapons programs. From the point of view of those concerned about nuclear weapons, plutonium locked up in spent fuel, whether recycled or newly created, is more acceptable than separated plutonium that could find its way into weapons. People are much less likely to steal or deal in highly radioactive solid spent fuel than in less directly harmful separated plutonium. The complexity and cost of the industrial facilities to reprocess and extract the plutonium are thought to be further deterrents to weapons proliferation. The United States and Russia have adopted a policy of taking surplus plutonium from weapons stockpiles to enrich fuel for commercial power reactors. Based on weapons proliferation concerns, U.S. Presidents Ford and Carter adopted policies to curtail reprocessing. President Reagan did not share that point of view, and made it clear he had no problem with privately financed reprocessing — but no one started developing reprocessing facilities after his election in 1980. The costs of cleanup of existing reprocessing facilities are notable, too. Perhaps as much as a third of the estimated $157 billion cost of cleanup of the Hanford, Savannah River and Idaho National Laboratory defense nuclear sites deals with the aftermath of chemical reprocessing of spent nuclear fuel. Commercial operators left their West Valley facility rather than correct its problems; the U.S. Department of Energy and the state of New York have borne the approximately $2 billion cost of cleanup and closure. By most accounts, new nuclear plants remain a relatively expensive option compared to carbon-fueled generating facilities — and reprocessing may well make the nuclear option even more expensive. A report commissioned by the French government in 2000 estimated that reprocessing costs more than obtaining fresh fuel and directly disposing of spent fuel. The United States needs to balance a broad range of environmental concerns. Nuclear power and reprocessing are attractive in that they do not produce significant carbon emissions. However, fuel manufacturing and reprocessing do produce radioactive and chemical contaminants and wastes. The French reprocessing plant at La Hague — hailed as a model by Tucker and others — has released substantial amounts of gaseous and liquid radioactivity since its opening in 1966. According to one calculation, its gaseous and liquid emissions of such isotopes as radioactive iodine, carbon 14, tritium, ruthenium and plutonium would account for a worldwide radiation dose about one-tenth that created by the Chernobyl accident. Even under much more stringent regulations imposed in 2007, the plant&apos;s permitted emissions will be two to four orders of magnitude greater than those allowed for a nearby nuclear power reactor. If, as Thomas L. Friedman suggests in his book Hot, Flat and Crowded, the United States is on its way to being a BNANA (Build Nothing Anywhere Near Anything) republic, concern over reprocessing&apos;s relatively larger emissions may well be more decisive than cost in forestalling its reintroduction. At the same time, one must recognize that uranium mining and milling, and uranium enrichment for commercial power reactors have had significant public health, environmental and cost consequences. These must be considered if the U.S. increases its reliance on nuclear power without reprocessing. In a recent report on nuclear power, directors of the country&apos;s national laboratories, including current Secretary of Energy Stephen Chu, argue that any worldwide increase in reliance on nuclear power is not sustainable without reprocessing. The directors call for a broad research and development program addressing cost, waste and nonproliferation issues. They also regard the hiatus in American reprocessing as a benefit in that the country is not saddled with "dated recycling infrastructure." 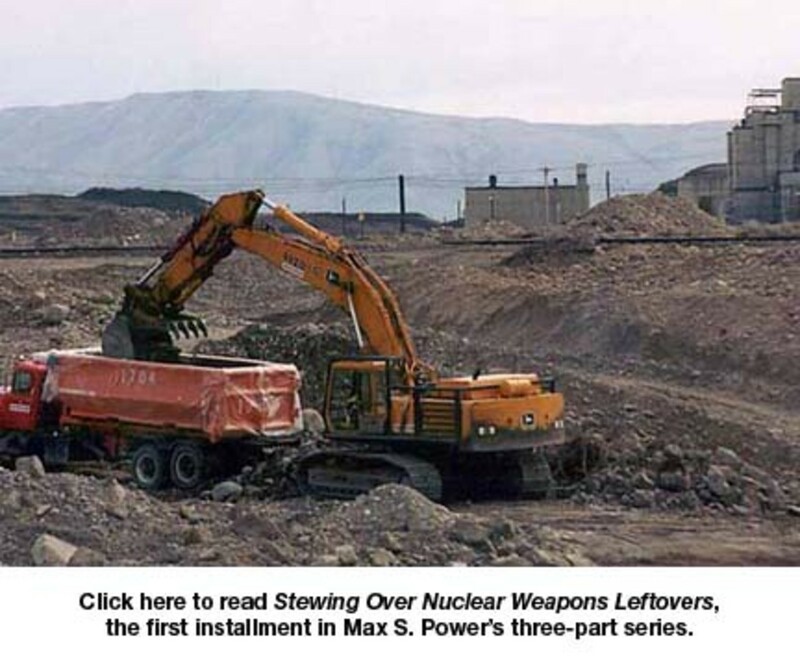 * Max S. Power&apos;s book, America&apos;s Nuclear Wastelands: Politics, Accountability, and Cleanup, has been chosen one of the "Best of the Best from the University Presses" for 2009 by the American Library Association. It was published last year by the Washington State University Press.